Welcome to Skyline Lofts Apartment Homes in Phoenix, Arizona! From our industrial chic decor to our high-end amenities, Skyline Lofts epitomizes luxury apartment living in Phoenix and is an outstanding community to call home. 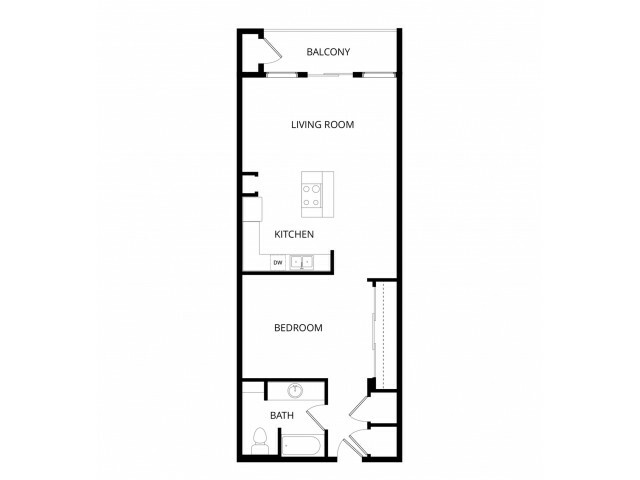 Skyline Lofts offers Studio, 1 & 2-bedroom floor plans. Our homes include exceptional designer touches, such as 10-foot exposed concrete ceilings and walls, sleek maple cabinetry, gallery-style niches and modern kitchen islands in select homes. Our community amenities are amazing and include a resort-style swimming pool, peaceful executive business center, state-of-the-art fitness center and on-site yoga and meditation studio! We also take care of your parking needs with our controlled-access parking garages and covered guest parking. Additional storage space is available if you need it, and your beloved dog or cat is welcome in our pet-friendly community. Skyline Lofts is located in the heart of Downtown Phoenix, AZ. Residents love being within walking distance to the ASU Downtown Phoenix campus, a variety of great restaurants, the AMC Arizona Center 24 movie theater, Herberger Theater Center, Symphony Hall, and so much more! Everything you might need is just a short distance away. For a truly unique apartment to rent in the coveted Downtown Phoenix neighborhood, look no further than Skyline Lofts Apartment Homes. Schedule a tour of our community today and let us help you find your perfect new home!